Educational Psychology studies of the human behavior and various problems, under the educational situation. This study is done by one method. Method means the system and way, which helps us in getting a conclusion , after doing the study, analysis and explanation of human behavior. Method is a way of getting facts. 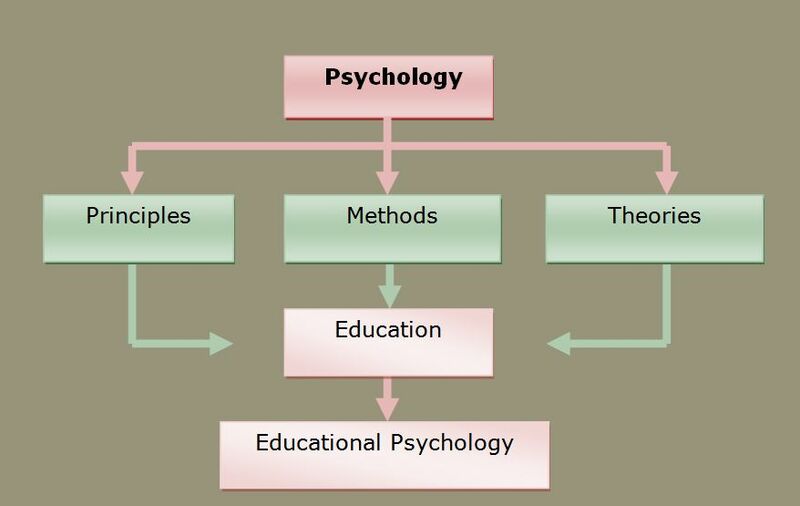 Educational psychology also uses the scientific method to solve and study of its various problems. In educational psychology, the study of scientific method could not be used strictly like any other material science because here ,the subject matter is study of the educational behavior of living entity, student. We know this very well , that due to some reason Education and Educational psychology could not be put in the category of pure science(chemistry and physics), because their rules are permanent. Because these sciences are related to the matter where as the education is a human subject and is related to the human behavior and society. Now educational Psychology has been put in the category of science, it has followed the scientific method for its works by ignoring imagination, guess and superstitions. The meaning of ‘study method’ of scientific language, is the way, by which truth is discovered. Essential elements of scientific method—Mr. Martin Dale and Monachesi have said—‘’Science is also a method of consideration. This also rises in the responses of problems like all other consideration. It differs from all other thoughts mainly in method. The quality of scientific method is—(1) that it focuses on inspection. (2) Tries to test behavioral or original concept. (3) Develops the experiments or model situations, which could take test of these concepts. (4) Invents such a new tools that may help in more acute measurement and more realistic observation. (5) And by study it outcasts firmly the self model evaluations of scientists and concentrates at this time that how do events take place in reality, not that ‘why’ it happens or ‘what’ should happen.” We can say in brief, that scientific method is a method of study that moves under the scientific rules. Educational-Psychology uses the scientific method in his researches and for the study of its problem. There is incredibility, reality, purity, objectivity and impartiality in these methods. In the modern age the measurement of scientification of any subject is its method. The main characteristics of this method are Verifiability, definiteness, Objectivity, Generality, and predictability. In this study, the student delivers the rule, after inspecting the truth by observation and inspection, finding out conclusion relating to the subject. (1) Internal or subjective Method—Under this method person analyses and explains his own behavior, as in the introspection and anecdotal method. (2) Outer and Objective methods—In this method, facts are collected by others. There are many methods under it. (1) Introspective Method—This method was mostly used in ancient time, but today this method is not considered scientific. So it is used less. ‘Introspective means’ To look within or self observation. In this method, person himself, describes analysis and observes his mental process. In introspection, person tries to evaluate his feelings and remembrance of his experiences. A Person can express his experiences through introspection. According to Scout—“The sequential study of self mental process is called, introspection.” Woodbirth has called it self Observation. When a man expresses his feelings, he has to take the medium of self observation, because mental process are internal. Their direct knowledge could be gained by this method. On the basis of its mental process observation, whatever data he presents, is called introspection data. Two things are found in introspection—(1) Person observes self mental process, and (2) presents discretion related to them. The greatest qualities of this method is this, man is able to understand himself, after getting knowledge of his mental process and stages. The direct study of man’s mental process is made possible by Introspection. As how does he feel in weal-woe, it can be responded by introspection. Person’s thinking power grows by using this method again and again. By the study of this method others mental activities can be studied. The experiences that different people have felt in relation of mental process, those experiences can also be comparatively studied here. The scientific study of Psychology has been started by introspection method. Therefore this method has given important contribution in making Psychology a science. Although the scope of this method is limited, many Psychological problems have been studied by using this method. Introspection method is an important method of Psychology. It is impossible to do the observation of mental process, because they are unclear, fickle, unsteady. The changes that take place in them are sooner. Mental process as emotional expression, feelings, thoughts etc, cannot make us stable, because as soon as we try to concentrate, they go away from our mind. A person cannot live every moment in the same condition, so his attention goes towards the other things. The another fault of this method is, that, the same person is observer and councilor of his own self. He has to perform both of the acts. And this work is opposite to each other, because here the observer and councilor is same. This is not worthy. The inspection of mind by mind is impossible. As Ross has said—“spectator and sight both are the same, because mind is the place and equipment of inspection.” He cannot observe all the experiences honestly. Often man does not want to express his feelings due to hesitation. Sometimes our mental feelings come to an end on paying more attention to them. As soon as when a person ruminates, he wants to study that rumination by introspection, then it is often seen at that time, the mental process of that person comes to end. This method is not possibly used for all kinds of human being. This method can be used only for the study of adolescence, because it is depended on the thinking power. It cannot be used on young one and mentally ill. It can only be used on the common person. This is also a vice of this method, that we cannot express our feelings by language, As often we do not express our feelings of psychologically and mentally suffering, weal –woe in proper words. According to the Psychologists, this fault is not of this method, but only of language, because we do introspection, but indirectly the limitation of this language is also affected on introspection. The question arises, if we cannot express our introspection feeling, how will its Psychological study be possible. The Psychological method should be such as, by which psychological study could be completed in spite of having mistakes in language. The knowledge obtained by this method is subjective. The mental condition of a person can be known by it. The equipment, obtained by it, is differing from the equipment, got from the introspection of other person. So neither they can be compared, nor their truth can be inspected. So on the basis of the knowledge, obtained by it, scientific rules cannot be prepared. (a) Direct observing to other’s behavior and finding out their mental condition—this is the main fact of this method. It is essential to notice carefully all the facts by observation. (b) Explain and analyze the behavior—Under it student explains and analyses the other’s behavior on the basis of his mental observation, seeing the tears of anybody , on the basis of our pre-experience, we think of his unhappiness.